To readers who were hoping for another travel post from Krissy, I apologize, but I do hope that I disappoint no further. I’m here to explain what it is I’ll be writing about– most likely, I’ll share a rant in between Krissy’s adventures in the East. This is TurtleTalk and I’d like to share my interests and my thoughts to the world! Now I don’t consider myself a good writer, like Krissy is. Whether my words are beautifully structured or hilariously incoherent (as some thoughts can be), I nonetheless hope to provide some quality content to any curious reader out there. I’ve always found myself to be more in tune with visual arts, such as drawing, design, painting and photography. I’ve always had a feel for these sort of things. Ever since I was young, I’ve had the knack for creating art through my hands and through my eyes. Now I emphasize the word because really, what is art? When we were young, many of us drew stick men sketches of our family – certainly without any knowledge or concept of what art was. But to our parents, those doodles were hung up on the fridge as real works of art. 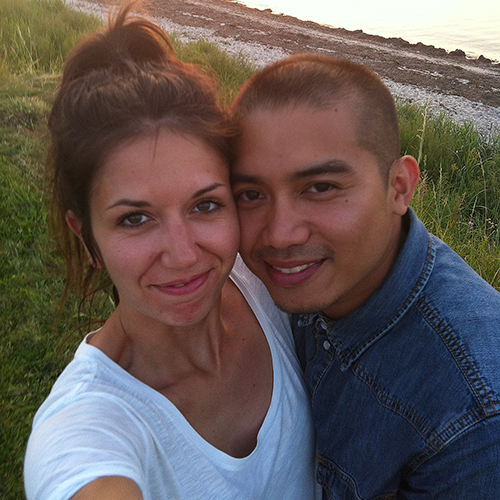 How about those holiday snapshots we took with our disposable cameras? Back then, I took the shots without any real idea of why I was taking them, beyond the desire to hold on to a memory. If the purpose of the photograph is to capture what already is, is it art? Is it really art when all it does is imitate? Think of actors on a stage, imitating Shakespearean characters; of paint on a canvas, imitating a sunset; of a set of words on a page, imitating life. Are these then considered as works of art? Is art synonymous with beauty or does it encompass the ugly, the unpleasant? We’re all familiar with the proverb, “Beauty is in the eye of the beholder.” Here, we get into aesthetics and the philosophy of art. What creates an aesthetic experience? Why are we drawn to some things and repelled by others? I suppose all art is beautiful, depending on how we look at it, depending on our understanding of it. 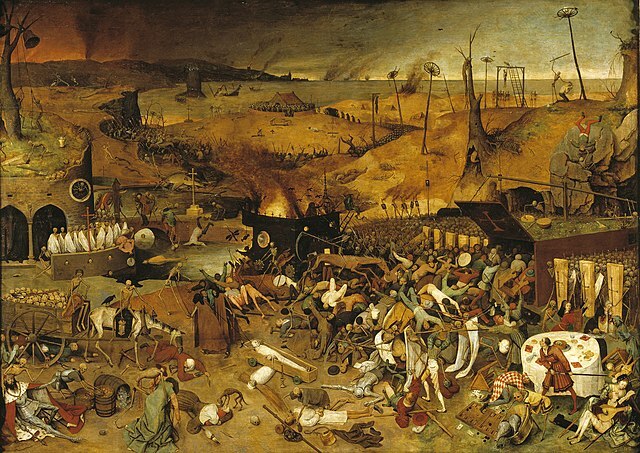 Take a look at this painting called “The Triumph of Death” by Pieter Bruegel. The painting depicts a bleak landscape, pervaded with death and destruction. How about this photograph of a young Libyan, revolting against the rule of long-time dictator Muammar Gaddafi. A young Libyan shows off the gun he has taken from the Gaddafi family compound, in Tripoli, on 23 September. Via World Press Photo. Both images revolve around war. To me, war is not beautiful but I can see and appreciate the beauty behind the two pieces. In the photograph, for example, there’s beauty in the way that it was captured. The contrasting themes become apparent as you examine the picture. Oppression vs freedom. A regime that is withering away in flames vs a country that will arise in the new dawn. There is art in the execution. So then what is art and what is non-art? Well, at the end of the day, I would argue: that which has no artistic intention, no ambition to evoke attentiveness, is non-art. However, I find it’s more meaningful to try and describe what art is, rather than try to define what it is not. That it’s more pertinent to try and describe what art means to us, for a satisfactory definition is yet to be found. Art is so many things to so many people. And that’s just the beauty of it. I also believe that art forms an emotional connection between artist and audience. I kind of touched upon a lot of topics here. Originally, I just wanted to show some photographs I’ve taken on my iPhone 4. But I also wanted to share some thoughts and questions that have flowed through my mind. Thoughts and questions about art, and what art means to me. But without further ado, I present to you my first art post. There will surely be many more to come, and I’ll get more into the artistic journey I’m about to embark on. More on that later. For these photos, I used several apps for the post-processing, hence them not looking so natural. I find it interesting to go beyond the natural, to see where I can go with the image. With photography, I like to capture moments. I like simplicity. I like contrast. And damn, I love scenery. Sometimes I like to take a photo of something that, to me, is simply fun. Instagram – Click on an image for a direct link to its Instagram page, or go to my Instacanvas gallery, where you’ll find more of my pictures. What I love about art, in all of its forms, is all the passion that it brings forth from within the artist. I find it truly inspiring to experience art. To have your emotions be aroused. Whether it is to the flow of movement to music, to brushstrokes against a canvas, or to a web of carefully spun words that form syntax and meaning. It is a wonderful thing to witness the vision of the artist, and to absorb the essence of the piece. Every detail, minute or big, all the inspiration within the melting pot that coalesce and form the final piece of art. To experience that, and be moved by it, is a beautiful thing. If we cast away all conceptual baggage of theories and definitions of what art is, then perhaps we are rewarded with the ability to approach art with fresh “eyes”, and experience it in a more profound and authentic manner. Wonton trivia! Number of ?’s in this post: 14. Haha, I think I asked more questions than I answered! Oh, wait! But what about comparing art forms? Okay, maybe we shouldn’t go there. It would be like asking, “Who would win in a fight, Batman or Superman?” Apples and oranges, I say. Thanks for sharing with us. We love your blog and WE WANT MORE, WE WANT MORE. You two got really have a great thing here. Sweetest way of sharing!